“Marilyn” our cluster sapphire and diamond engagement ring. This ring is made up an oval shape royal blue sapphire in a rub over setting. 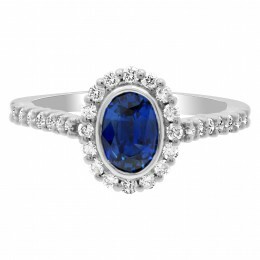 The sapphire is surrounded by a diamond halo of claw set round brilliant diamonds. 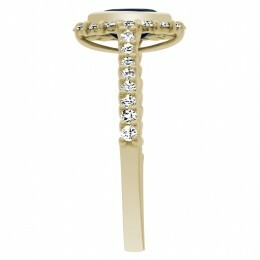 Marilyn also has round brilliant diamonds claw set on the shank. 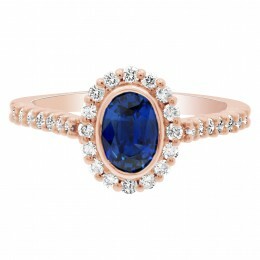 This displays that extra breathtaking beautiful sparkle. The ring pictured has a .70ct royal blue sapphire. The combined carat weight is 1.10ct. 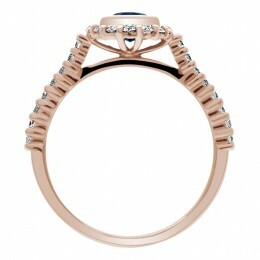 This style of ring is available from €2,500.